From natural stones to customization, you have so many countertop options to choose from. Whether you are going to construct or renovate your home, you must be sure to invest in quality material. Granite Vs Quartz, Which Kitchen Countertop Should I Install? Gone are the days when people have some limited options for the countertops. Nowadays, there is a comprehensive range in the term of size, style and design to be chosen for a kitchen countertop. Among several choices, the granite and quartz are giving a competition to each other. Because, these both are performing an amazing job as a kitchen countertop. https://granitenations.com/wp-content/uploads/2018/12/granite.jpg 0 0 wiretree https://granitenations.com/wp-content/uploads/2018/12/granite.jpg wiretree2018-11-27 22:58:522018-11-29 23:04:09Granite Vs Quartz, Which Kitchen Countertop Should I Install? Are you planning to own a luxurious kitchen with modern cabinets and countertops? If yes, granite is the most preferred material to go with. When it comes to installing new countertops, there are several design choices to choose from depending on your interior style. Granite counters can make your kitchen look more beautiful with more usable space. 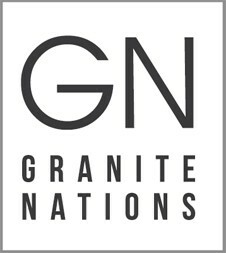 Granite Nations is a renowned kitchen cabinet and countertop installation company serving the GTA homeowners with reliable and efficient services to redefine the beauty of your kitchen and bathroom.